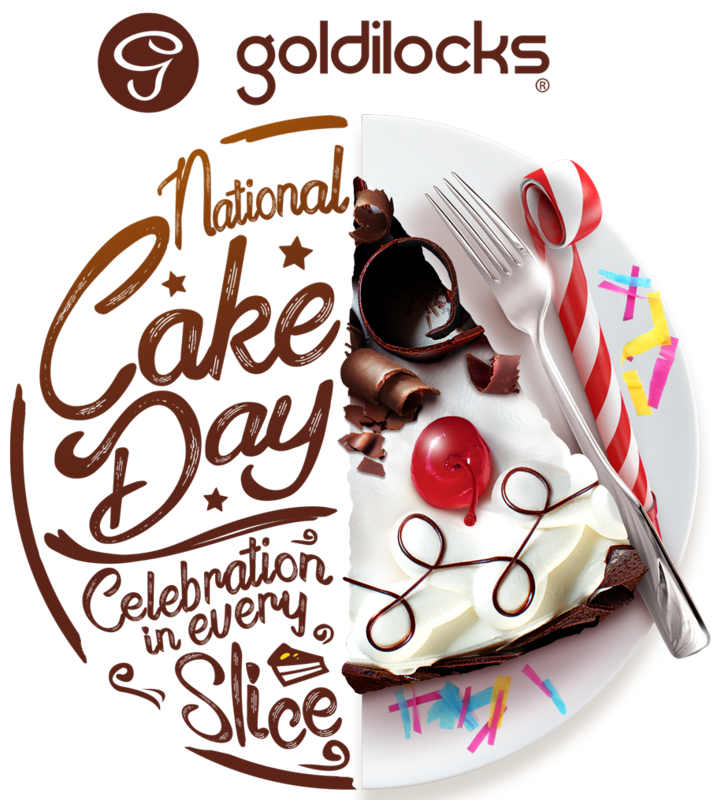 Cake-all-you-can in 40 minutes? Kayang-kaya! 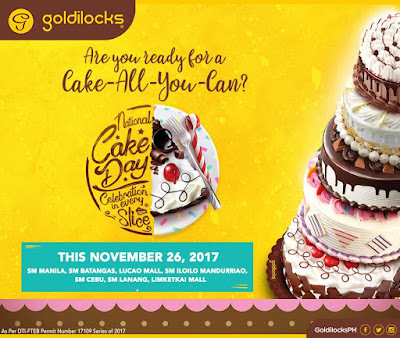 Celebrate National Cake Day on November 26, 2017 with Goldilocks' Cake-All-You-Can / Cake Buffet for only P169/person November 26, 2017 in 7 participating stores nationwide! Register HERE! - November birthday celebrators will be FREE of charge if accompanied by 3 or more paying customers. The celebrant must present 1 valid ID with picture and date of birth or birth certificate to avail of Cake-All-You-Can Buffet for free.